In an effort to advocate for a continuous trail along vast lengths of the Chicago River, the Active Transportation Alliance recently released its Chicago River Trail Action Plan. 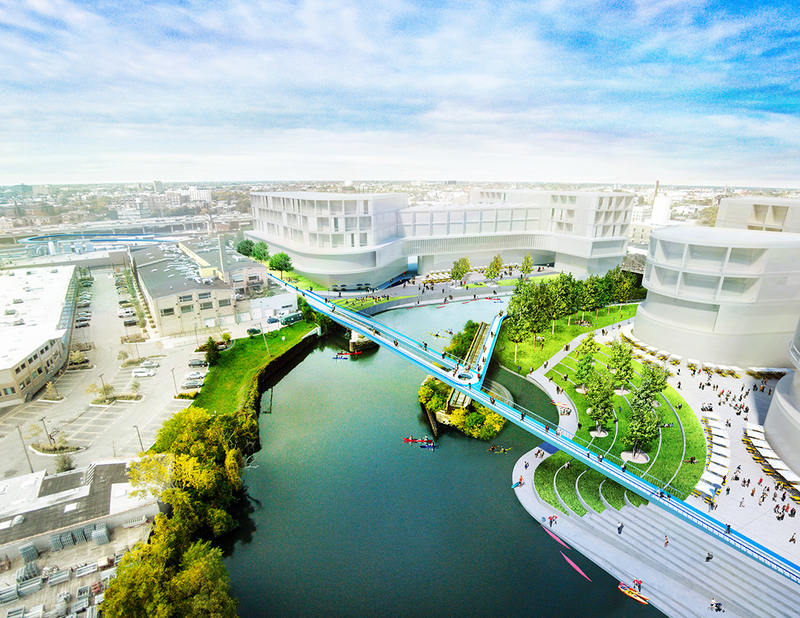 The hope is to connect existing trails and parks throughout the city with the North and South Branches of the Chicago river. The plan outlines key steps by which the trail could be realized. Currently, about half of the Chicago River’s 27 miles of riverfront have existing trails, with more trails already planned. As the downtown Chicago Riverwalk has recently been completed, the focus on improvements to the river is now shifting out into the neighborhoods. By working with community organizations in neighborhoods along the river, the Active Transportation Alliance specifically highlights seven more miles of riverfront as likely candidates for new trails. Perhaps the most notable recommendation in the Action Plan is to connect some of the city’s newest and proposed parks, as well as multiple proposed developments, to the river. If connected, the network of parks and trails would directly serve the more than 900,000 Chicagoans that live within one mile of the River. On the near north side, the 606 linear park currently stops just short of the river, while the El Paseo Trail on the near south side will have a similar situation. The current redevelopment of the former Lathrop Homes public housing projects and the anticipated redevelopment of the industrial Goose Island both are being planned with the river as a main feature. Yet building along the river is not always a simple matter. In certain sections of the river, no path can be built on land. In these areas floating or suspended decks will have to be used. The Action Plan divides the river into seven zones. Assets and opportunities for each zone are listed along with a list of actionable steps for local stakeholders to take. For many of the zones, plans have already been proposed by designers, planners, and architects. As outlined in the plan, PORT Urbanism is responsible for an intricate path that would connect the 606 park with the river trail, while Ross Barney Architects has designed other sections of the river, including the now completed downtown Riverwalk. Other input on the plan came from a variety of sources including architecture firms such as Perkins & Will, Moss Deisgn, and Hoerr Schaudt, as well as other public space advocacy groups like the Metropolitan Planning Council, the North River Commission, and the Friends of the Chicago River.